Recent publication by the International Panel on Climate Change of its Special Report “Global Warming of 1.5˚C” has again brought environmental protection to the forefront of sustainable development discourse. With South Africa being a party to the United Nations Convention on Climate Change and Paris Agreement, concerns of the international community and pressure from fellow state parties incentivises the Department of Environmental Affairs’ enforcement division, the green scorpions, to further sharpen their sting. significant CAPEX required to: (i) address remediation of pollution or environmental degradation; and/or (ii) upgrade facilities or infrastructure which do not comply with environmental law. Local non-profit organisations have also recently become particularly vigilant and often institute enforcement proceedings in the public interest where a business is polluting, causing environmental degradation or otherwise not complying with environmental laws. Companies looking to acquire businesses, assets or shares in companies that impact on the environment are therefore reminded of the importance of including the below environmental considerations within the scope of a due diligence. In taking over a business or a company, it would be essential for any purchaser that the acquired business or company continues to operate lawfully during and after closing of the transaction. During the due diligence process, this requires vetting of all material environmental permits, licences and authorisations (Environmental Consents), as well as the empowering statutes to identify any restrictive conditions. With reference to a sale of business or asset transaction, any restriction on the transfer of Environmental Consents to another holder would have to be identified. Depending on materiality of the Consent, a restriction on transfer could result in a new business owner having to make application for a new Environmental Consent to be issued in its name. For a sale of shares, any prohibition on change of control would have similar implications. Often Environmental Consents however contain ambiguous conditions that restrict “change of ownership” of a company or business. Whether such a condition includes a sale of shares would have to be determined from the context and nature of the deal. For example, where an acquirer obtains 100% shareholding in an operating company, from a purposive interpretation it is arguable that the ownership of the business has changed. Often the situation also arises where all requisite Environmental Consents are not in place, as they have either never been applied for or have expired, or the target company holds the incorrect view that they are not required. Any application for a new Environmental Consent can become highly problematic in terms of deal timelines as certain Consent application processes are legally required to run for up to 300 days and can have CAPEX implications insofar as an array of environmental specialists have to be appointed and public participation processes undertaken. The National Environmental Management Act, No 107 of 1998 (NEMA) creates an overarching duty to take reasonable measures to prevent, minimise and rectify significant pollution and environmental degradation (Pollution Measures). A similar duty of care is catered for in the National Water Act, No 36 of 1998, specifically in relation to the pollution of ground and surface water resources. 2. any other situation exists, which causes, has caused or is likely to cause significant pollution or environmental degradation. they are deemed to be in control of the company (which would include factors such as majority shareholding; employees of a shareholder being on the company’s board of directors; or the degree of involvement of the shareholder in the environmental management of the company). The duty of care would fall on a new owner of a business or site in the case of a sale of business or assets. Failure to comply with the duty of care can inter alia result in an entity facing fines of R10 million or liability for the costs of remediation of pollution or environmental degradation if Authority Recovery Proceedings are instituted. The environmental authorities generally pursue the party who caused the pollution under the “polluter pays” principle. It is however possible under NEMA that the environmental authorities can pursue a new owner of a business and, although not yet considered by South African courts, a shareholder in the circumstances discussed above. To properly manage this risk, audits, correspondence with government officials, directives and compliances notices are imperative to consider during a due diligence. If a due diligence is not conducted and environmental pollution or degradation exists, it is arguable that the purchaser has not complied with the duty of care, thereby increasing the risks noted. Where there is uncertainty regarding the extent of the pollution, it is often recommended that a baseline environmental study be undertaken to enable parties to “draw a line in the sand” in terms of allocation of liability. Failure to do so can result in a purchaser becoming liable for pollution caused prior to it obtaining shares in the relevant company or acquiring the business or asset(s) in question. All the above considerations can be properly dealt with and managed in terms of the transaction agreements by the inclusion of, for example, warranties, indemnities, conditions precedent and undertakings by the purchaser and seller. 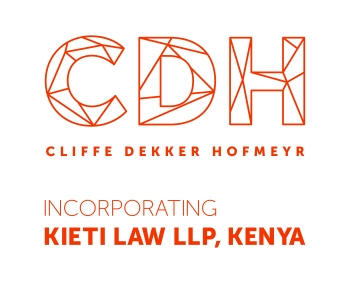 It is often also possible to consult with competent authorities to, where necessary and relevant, agree to an interim arrangement that caters for the company changing ownership. The importance however is that the risks are timeously identified, particularly with enforcement officials becoming more alert in respect of companies that run operations of a high-polluting nature.